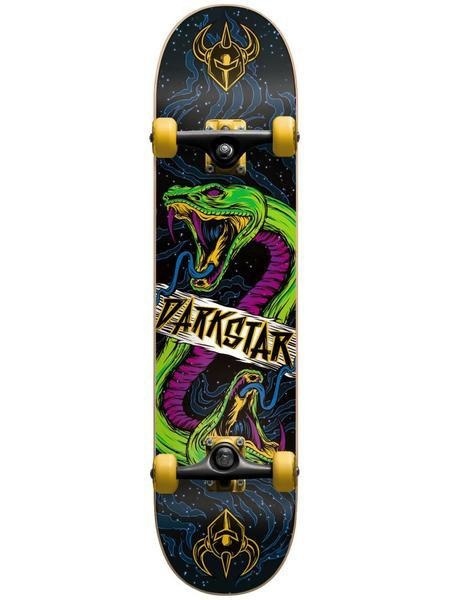 Darkstar Venom Yellow 7.375 First Push Premium Complete Skateboard MID Width: 7.375" Color: Yellow Features: Premium Trucks: · Hollow Kingpin. · Custom Painted Finish. 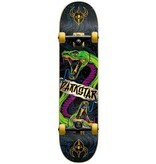 Premium Printed Graphic Griptape. First Push Complete: Specifically designed for smaller, younger skaters with easy turning and maximum performance. · 7 Ply Hardrock Maple with Stiff Glue Extra; the strongest water-base glue. · Single Deck Press (Same shape and concave every time). · Carbon Steel Speed Bearings. Why its Better: · Shape scaled for young riders. · Custom concave for more control. · Improved wheel formula for park and street. · Softer bushing for easier turning. 30 Day Warranty Against Manufacturing Defects.